Poultry & Egg Summit Latin America 2016 is organized by the team already responsible for the VIV series of Feed to Food animal protein business events at locations in Europe, Asia, the Middle East and Russia. The team is bringing its new conference-only format to Latin America for the first time after staging a successful inaugural Poultry Summit Europe in the Netherlands in May 2016. With an emphasis on providing good business information and networking opportunities, the two-day conference in October offers simultaneous translation of speakers in English and Spanish. It brings together regional and global expertise for a poultry leadership programme under the general theme of trade perspectives for Latin America. Newly confirmed conference details reveal a major line-up of speakers addressing key current issues of trade and marketing for the poultry industry both regionally and globally. The opening session on Wednesday 26 October has been planned by VIV in association with the International Poultry Council, to cover strategies for exporting and investment. Topics begin with the marketing outlook as seen from inside Argentina. The presidents of its national associations CEPA (for poultry meat) and CAPIA (for eggs) have agreed to be the first speakers, with Roberto Domenech of CEPA outlining the potential role of Argentina in the world’s broiler industry and Javier Prida of CAPIA reviewing developments in Argentina’s egg market. Poultry & Egg Summit Latin America 2016 then expands its view internationally as Nan-Dirk Mulder, senior global animal protein analyst with Rabobank International, discusses the business outlook for poultry producers in Latin America and the position of the Latin American industry in global poultry markets. He is followed by American poultry agribusiness consultant Dr. Paul Aho, who will examine how a continuing volatility in commodity prices could impact the demand for chicken meat as well as its supply. The first day of the conference continues with an exploration of the future of broiler feeding in terms of cost and sustainability by Dr. Antônio Mário Penz Jr., director of strategic accounts at Cargill Animal Nutrition. Consumer acceptance is the topic for John Kirkpatrick, agricultural manager in charge of poultry and egg supply chains for UK-based food retailer Tesco. Mr. Ma Chuang, vice-general manager of Chinese agri-markets agency Beijing Boyar Communication Company will add perspectives on China’s investment and trade in poultry products. Wednesday afternoon brings a focus on egg marketing and consumption in Latin America and at world level, in a segment backed by the International Egg Commission. The final part of the programme on the opening day offers expert advice on how to prepare the poultry enterprise to meet and beat the health challenge presented by highly-pathogenic avian influenza virus or HPAI. A direct reference to new trading possibilities opens proceedings on Thursday 27 October. Saudi Deputy Minister for animal resources Dr. Hamad Al Batshan and his colleague Ibrahim Al Thunayan are coming especially to Poultry & Egg Summit Latin America 2016 to make a joint presentation on the potential for Saudi Arabia to develop trade relationships with Argentina and possibly other Latin American countries. Their speech will include an explanation of the conditions that Saudi Arabia sets for the importation of poultry meat. Its timing is extremely appropriate by coinciding with the decision of Argentina’s new government to re-open major trade links worldwide, not least for agrifood products including chicken. Thursday’s conference programme moves on to a series of presentations arranged by World Poultry and VIV around a central emphasis on value chain strategies and export. Béatrice Conde, food safety officer at Bühler, describes implications for the Latin American feed industry from the influence of food and feed safety on global trading. Other speakers will offer new insights on responsible nutrition in a Latin American context, disease management in the region’s poultry supply chains and the role of information technology in distribution strategies. The format of Poultry & Egg Summit Latin America 2016 has been designed deliberately to encourage opportunities for delegates to meet and network between presentations. The agenda in Buenos Aires starts with a cocktail reception on the evening of Tuesday 25 October and there is a buffet-style ‘walking dinner’ for delegates on the Wednesday evening, in addition to which both conference days on Wednesday and Thursday include breaks that are structured so people can relax and talk easily with each other. Added to that, the Argentine city’s Palacio San Miguel provides a comfortable location for Poultry & Egg Summit Latin America 2016 that combines the elegant exterior of an historic palace with the refurbished interior of a modern and well-equipped meeting place. More details of the venue and the event can be found at dedicated website www.vivsummit.net/latinamerica. 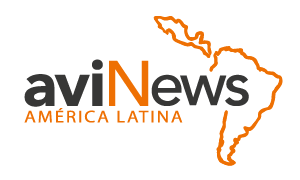 The organizers report strong early interest from Latin American poultry executives about coming to the Summit. From preliminary indications they expect that more than 250 of the top decision-makers in the region’s poultry meat and egg businesses will attend. Over 250 of the leading decision makers from the poultry meat and egg industries of Latin America are expected to come to Poultry & Egg Summit Latin America 2016. It is a new regional conference for poultry executives that will take place in Argentina on dates of 26th-27th October 2016. Uniquely, the core topic for the meeting has been chosen by industry representatives themselves. On the basis of their responses to a special survey, the conference will focus on the key challenges involved in the prevention and management of poultry disease and its implications for trade. Poultry & Egg Summit Latin America 2016 will take place in Buenos Aires. The two-day conference will begin with a plenary session, opened by Rabobank’s Nan-Dirk Mulder with a presentation on ‘Opportunities for the Latin American poultry industry from a global perspective’. John Kirkpatrick, Tesco Plc., presents the business case ‘Consumer acceptance’. The programme will offer simultaneous translation of speakers in English and Spanish, being presented by VIV worldwide in co-operation with the International Egg Commission and the International Poultry Council and supported by publications International Poultry Production and World Poultry. 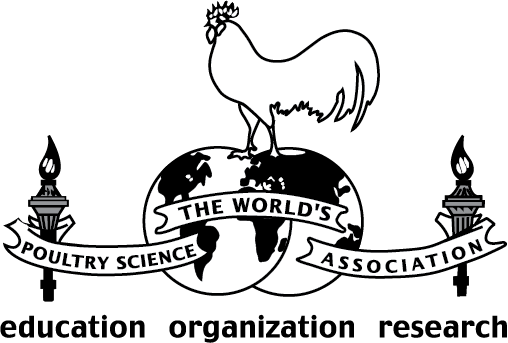 It becomes the first conference-only meeting to be arranged in a South American country by the team behind the VIV series of international trade fairs and follows their launch of Poultry Summit Europe 2016 in Utrecht, The Netherlands, in May this year. He highlights the fact that both poultry meat and eggs receive close attention in the conference programme. 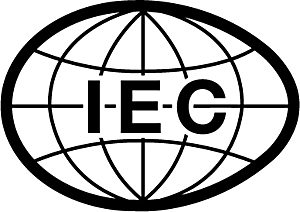 In fact, while the International Poultry Council (IPC) is involved in the morning session on Wednesday 26th October, the afternoon session and the opening segment of the next day have been arranged with the International Egg Commission (IEC).